Successfully Added Mini HC-DVR - Video Playback, Real-Time Viewing, 2x 64GB SD Card Slot, HD Camera Support, Audio And Video, On-Site Playback to your Shopping Cart. The Mini HC-DVR is perfect for those of you that wish to increase the security levels of your property. This mini DVR allows you to conveniently connect one of your security cameras to an external display. Thanks to its HDMI and AV ports, it features great usability and allows you to hook it up to different types of monitors. It comes with both video and audio inputs. This allows you to watch back previous recordings including high-quality sound at the spot. With its HD 720p camera support, you’ll be treated with highly detailed images. From now on you can be assured that not a single person will near your property unnoticed. Besides watching back previous recordings, this mini DVR also supports real-time video. This means that you’ll always be able to keep an eye on what’s happening around your property. Your security gadget comes with its own dedicated PC software that can be easily installed via the included CD. 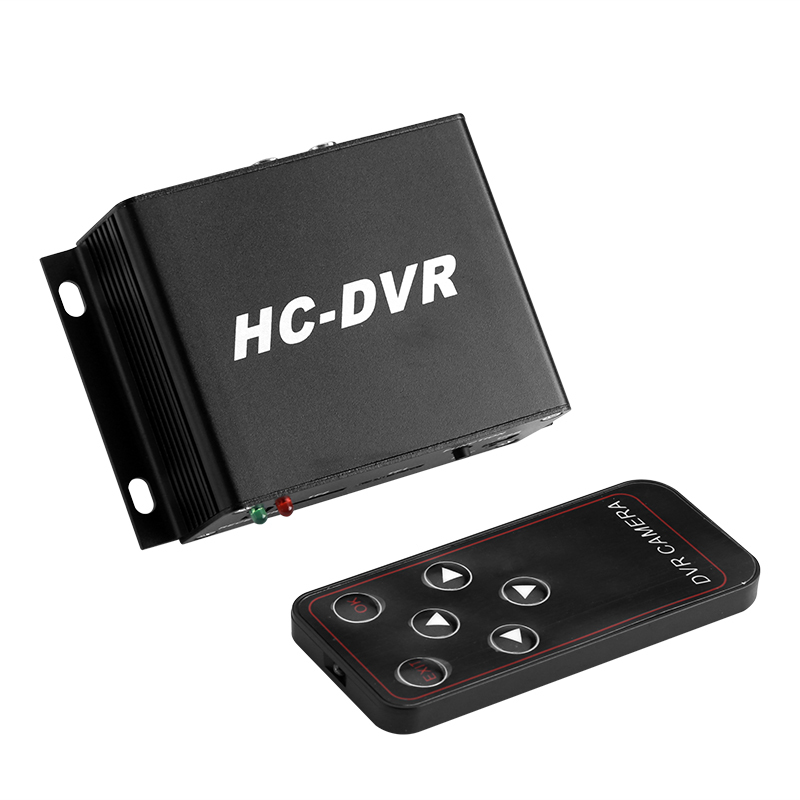 Once installed, this DVR will offer an easy and convenient way to increase the overall safety of your home, garage, or office. The mini DVR supports two SD card slots that together bring along 128GB of storage space. Thanks to this, there will be plenty of space for you to securely store all your pervious recordings. Whether you use it to protect your home or office, this mini DVR offers a great way to increase your safety. You’ll be able to easily watch back previous recordings as well as real-time video. From now on, not a single unwanted visitor is able to approach your property without you being aware. This mini DVR comes with a 12 months warranty, brought to you by the leader in electronic devices as well as wholesale electronic gadgets..